White-tailed deer have reached population densities in the agricultural Midwest that would not have been predicted 20-30 years ago. 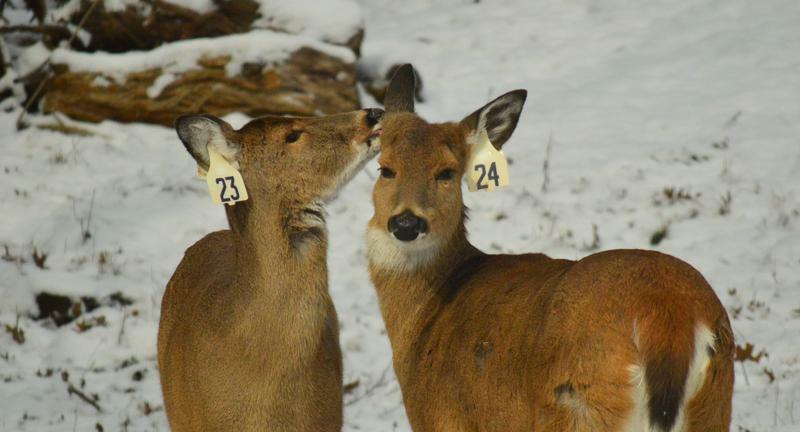 To help explain this phenomenon, we inventoried and analyzed potential deer habitat in Illinois, using classified satellite imagery and a proximity-based habitat model. Statewide prehunt deer densities (ca 1992) were estimated at 4-5 deer per km2 of total area and 30-37 deer per km2 of forest based on population reconstruction and modeling. Habitat suitability indices explained 81% of the variation in deer population densities at the county level. The amount and distribution of deer habitat in Illinois was primarily dependent on intensity of agricultural land use, which in turn was dictated by soil productivity and terrain. We found no evidence that relative use of available habitat at the county level was adversely affected either by habitat fragmentation or human presence on the landscape.